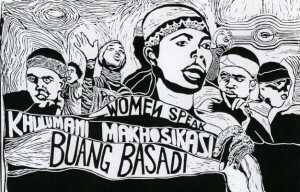 South African Mail: Messages from Inside is an exhibition of 400 unique postcard-sized works reflecting the life circumstances, hopes and dreams of over 200 South African women of all races, includes paintings, photographs, drawings, prints, beadwork, collages, reliefs, and written statements. 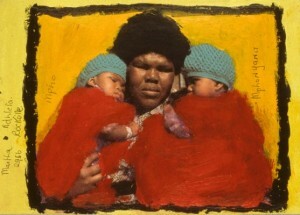 Featured on the PBS program “South African Now” and first shown at Soho 20 Gallery, New York City in February 1990. 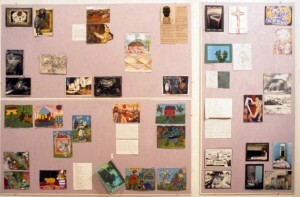 South African Mail: Messages from Inside was curated by New York artist Janet Goldner in 1989. 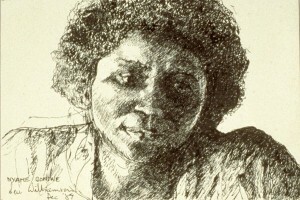 In the waning days of apartheid with the support of the UN Special Committee Against Apartheid, Janet traveled to South Africa to work with artists groups in Johannesburg and Cape Town. In compliance with the cultural boycott the exhibition sought to promote the culture of liberation by presenting the current life circumstances of progressive women in South Africa, and their hopes and dreams for a future South Africa which is democratic and nonracial. The exhibition is a collaboration between American and South African artists. The exhibition toured for several years in the US. When possible Janet accompanied the show to present a slide lecture to augment and contexturalize the exhibition. In 2017, the exhibition became part of the African Activist Archive at Michigan State University. The catalogue is available on Amazon.